A printing revolution for your company. This MFP provides print colors up to twice the speed of half the cost per page of a color laser. Plus copy, scan and fax. It is designed for sophisticated workflows and is made to last. Print / Copy Speed: up to 42 ppm Black & 44ppm Color (Letter / A4), First Page Out: 9 sec. Processor: 796 Mhz; Memory: 1792 MB. Interface: 2 Hi-Speed ​​USB 2.0 Host, Hi-Speed ​​USB 2.0 Device, 10/100 / 1000T Ethernet, Pocket Hardware Integration. RMPV: 2,000 - 6,000 pages; Monthly Duty Cycle: up to 75,000 pages. 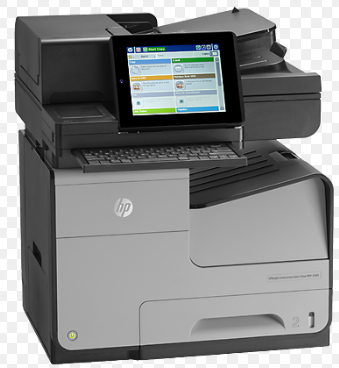 Additional Features: ePrint, AirPrint, duplex ready, fax, single pass scanning.